A gypsy fortune teller warns Scooby and the gang not to visit Franken Castle. They go anyway and find themselves chased by a werewolf, a vampire and a Frankenstein monster. A detour causes the gang to run into a headless specter in a maze of a mansion. How many episodes of Scooby Doo, Where Are You! have you seen? 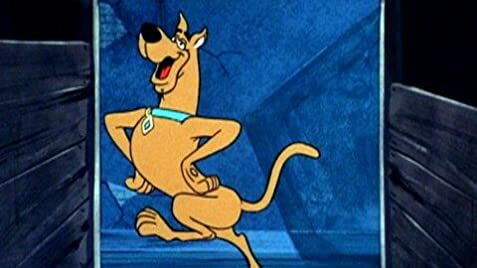 "Scooby Doo" was one weird little cartoon in its day, but a great cartoon all the same. Part of what made it so good was the genuinely surreal feeling of every episode. We have 4 hippie kids and their dog, totally into the 60's culture, and yet none of their surroundings resemble anything like planet Earth. Instead, they drive their groovy van into creepy landscapes consisting of green fog and dark, menacing forests. On the rare occasion when they would leave the Valley of Death and go to an actual city, they would be surrounded by abandoned warehouses and empty construction sites. Take all of this and add that spooky xylophone music, and you have one hell of an atmosphere. The creepy Gothic settings, however, were off-put by the total cheerfulness and optimism of these kids. Fred especially was disturbingly happy ("Good job, gang!"). 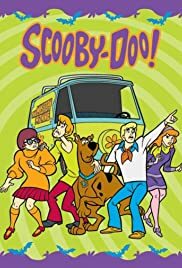 It is also strange that reasonably smart and well-adjusted kids like Fred, Daphne, and Velma would choose to hang out with some goofy stoner who talked to his dog (ever notice how he's the only one who can actually HEAR Scooby?). The obvious implication is that he supplied them with "Scooby snacks," but they don't seem to be as tripped out on the evil weed as Shaggy. Then again, maybe that's why they were so happy about everything. Maybe all the weird atmospheres and monsters were just hallucinations. Maybe it was all a fever dream. Who can tell? As for these theories that Fred and Velma were gay... who knows? Maybe they were, maybe they weren't. Whatever the case may be, it all boils down to 4 kids and a dog driving around aimlessly, and occasionally catching people dressed in monster suits. Weird, weird stuff, but still wildly entertaining. It is a classic cartoon that should be remembered for its weirdness.